If you're an owner or trainer in Maryland with a racehorse that needs to retire and you have no connections in aftercare or other equine disciplines, where do you turn? A new organization is aiming to be the answer. 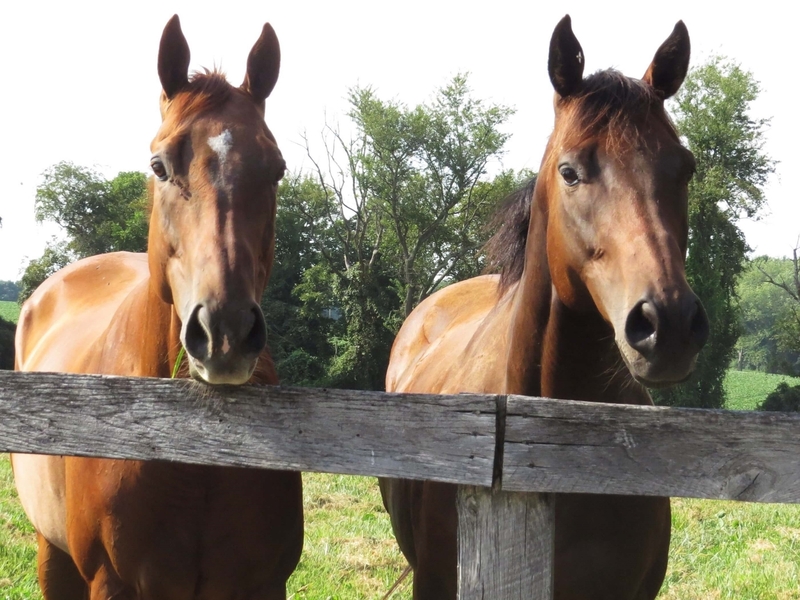 The Maryland Horsemen's Association, the Maryland Jockey Club, Maryland Thoroughbred Breeders Association, local jockeys, and other racetrackers saw a need to help more retired racehorses find new homes and second careers. "For the most part, owners and trainers in Maryland do a good job of rehoming horses and finding second careers for them, but we wanted to make something that was a little more official and make sure there was an official avenue to retire horses, just to give people a way to do so," said Jessica Hammond, program administrator for Beyond the Wire. First, an owner or trainer will fill out an intake form for Hammond once they have a horse they need to retire. Next, the horse will be evaluated by a veterinarian donating the exam. Then Hammond will get in touch with the local Thoroughbred Aftercare Alliance-accredited aftercare facilities to find a place for the horse to land after leaving the track. "It's not placing the burden on any one person," Hammond said, adding that the program was modeled after the New York Thoroughbred Horsemen's Association's Take the Lead. "It's spreading it out across the whole industry. What's appealing is that there is money coming from everybody involved in the industry, and you have someone like myself who is doing the legwork. "I think some people get overwhelmed all of a sudden (when they have a horse that needs to retire). ... This way you just make one phone call and a lot can happen." The organization is currently sending horses to two local TAA-accredited organizations, MidAtlantic Horse Rescue near Chesapeake City, Md., and the Foxie G Foundation near Union Bridge, Md. 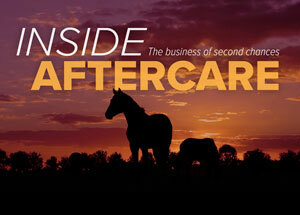 "The benefit of using Thoroughbred Aftercare Alliance-accredited facilities are: One, they use a contract and it's a no-slaughter contract; and two, they will take back any horse—that's huge for us to know that they won't end up in a bad place," Hammond said. Although Beyond the Wire is it's own separate organization, it does receive contributions from the Maryland Horsemen's Association, the Maryland Jockey Club, Maryland Thoroughbred Breeders Association, all of which have pledged annual donations. Additional funding comes from one-off donations and per-start donations from owners and jockeys. So far, the new organization has been well-received on the backside. And Hammond has already taken in seven horses through the new system since the "soft launch" less than a month ago. "It's early to say, but I feel like it's already a success because we started putting horses through the program at the end of May. ... but within the next couple of days, I will have already put seven horses through the program," she said. "A lot of the horsemen are really excited about the creation of the organization because it makes it easier for them. If a horse is injured, there is funding in place. If (horsemen) can't do what a horse needs to have done to move it into a second career, we can chip in and do that. Most people have been very excited about it." However, one misconception Hammond has already had to clarify is that Beyond the Wire will not take horses with injuries. "As long as it's agreed upon by the vet that the horse would have a good quality of life, we'll do whatever we can to place them," she said. "Sometimes unfortunately (aftercare) facilities can be limiting for (an injured) horse because they require stall rest, so it's dependent on space at one of our facilities. But in general, we do take horses with injuries." While the organization's main goal is to successfully find second homes for as many Maryland Thoroughbreds as possible, Hammond sees aftercare education, for owners and trainers, as another equally important piece of the puzzle. "I'm interested in providing seminars for owners and trainers about how you know it's time to retire your racehorse, so people start retiring racehorses one race too soon as opposed to one race too late. The healthier and sounder they are, the more options they have after racing," she said. "It's also teaching people that (retiring a racehorse) is not at odds with your business interest. Say your horse already has an issue, you race them anyway, and they end up getting injured. Now you have vet bills, now they're not as easy to place because they have an injury, and you have to hang on to them for an extra month. The other thing that it can cost you is your reputation. You don't want to get a reputation as an owner or trainer with horses who are constantly injured, hard to place, or end up in bad places."